92 Comments	This post may contain affiliate links. This is a sponsored post on behalf of Frontier Co-op. All opinions are 100% my own, of course. Thank you for supporting the brands that help make Real Food with Jessica possible! 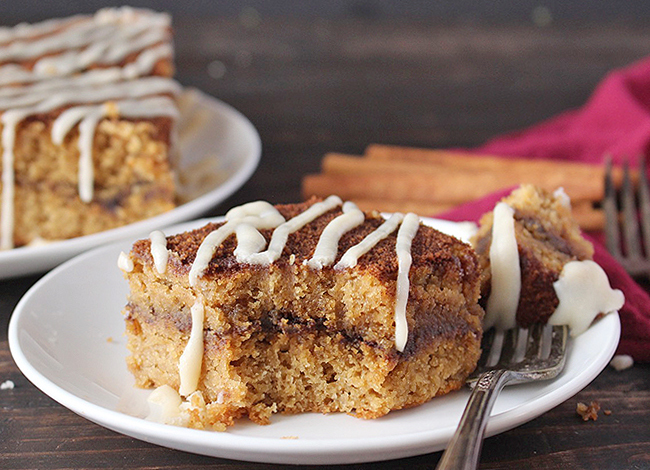 Oh, this coffee cake is so good! 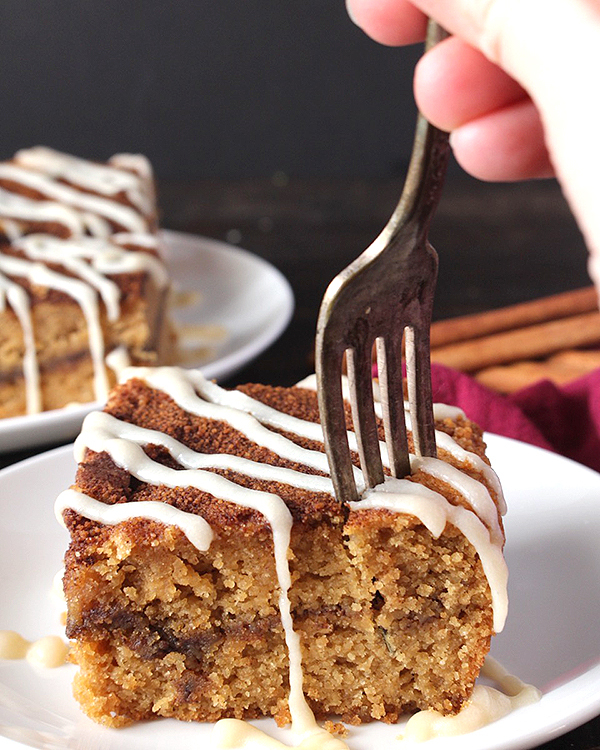 I’ve expressed my love for coffee cake in the past with my Paleo Pumpkin Coffee Cake and it has been far too long since I’ve shared a recipe for another one. This is inspired by another delicious breakfast treat- cinnamon rolls, but made so much easier! 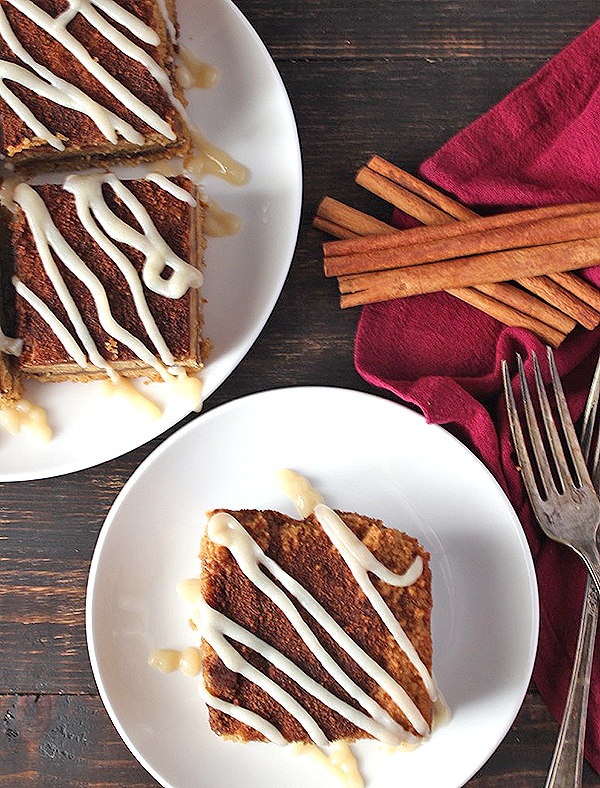 A simple sweet cake, a thick cinnamon sugar swirl, and a delicious glaze! Perfection! 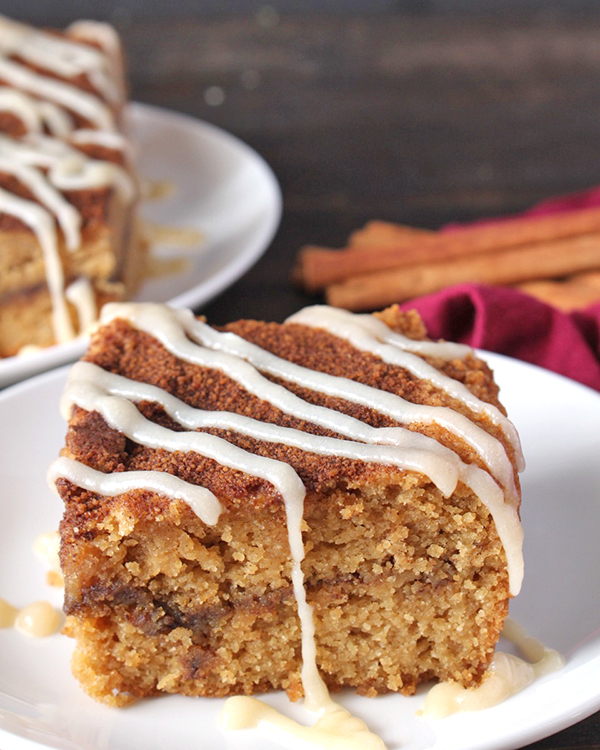 This coffee cake is so moist that it doesn’t need a glaze, but why would I leave off such a delicious topping? 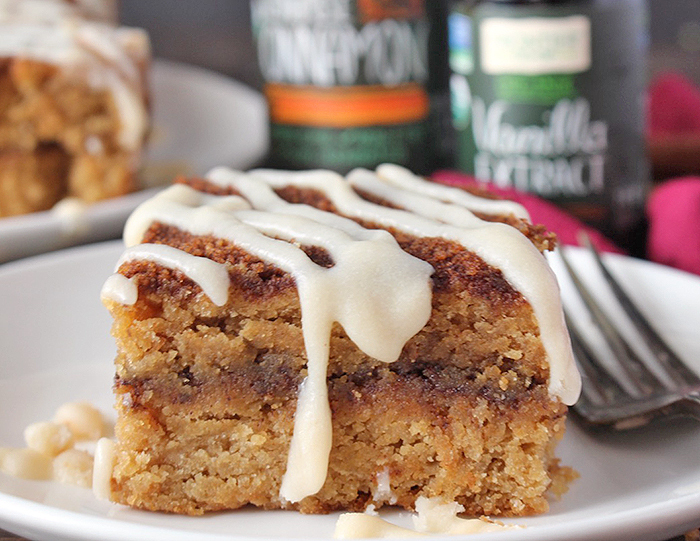 Two of the things that makes this cake stand out is the Frontier Co-op Vietnamese Cinnamon and Vanilla Extract. This cinnamon is no ordinary cinnamon- it is bold, more flavorful, and makes me never want to use traditional cinnamon again! 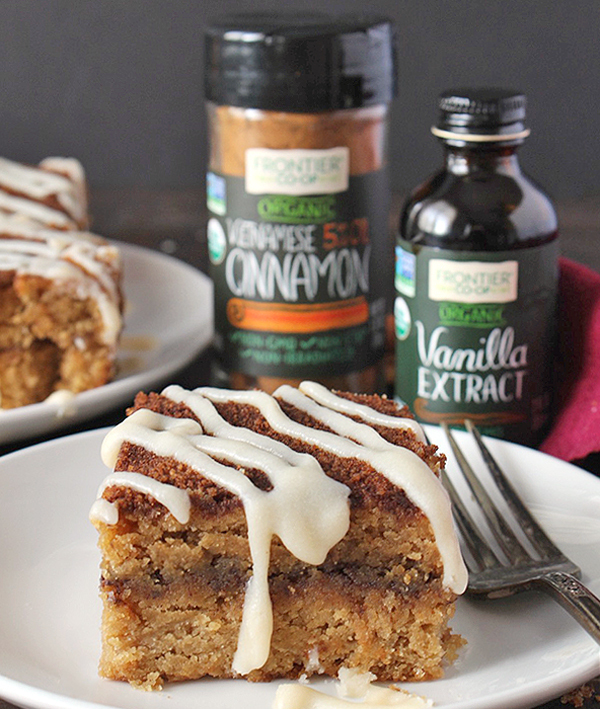 The vanilla extract is the real deal, not imitation, and adds just the perfect amount of vanilla flavor. I also love what the company is all about. They are Fair Trade (more about that in THIS post), organic, and sustainably source their spices. They are a company that I always feel good about supporting! A little info on the difference between extracts and flavors: Because they can react differently, it’s important that alcohol-based extracts (and not water- or vegetable oil-based flavors) are used in all recipes that specifically call for an extract. Likewise, flavors should be used in recipes that call for them specifically. 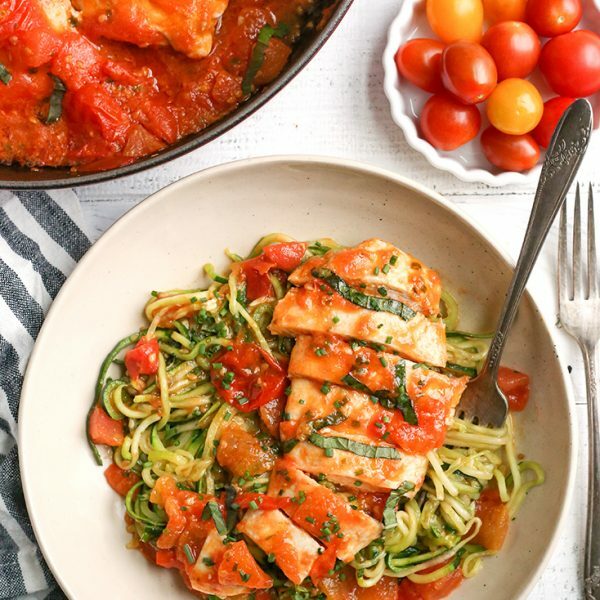 Any customers using flavors in order to avoid consuming even slight amounts of alcohol will want to utilize recipes that specifically call for flavors. Water-based flavors work especially well in flavoring beverages like teas, cocktails and juices, while oil-based flavorings are best used to flavor fat-based ingredients. For example, our sunflower oil-based lemon flavor is ideal for a lemon buttercream frosting. Vanilla extract, which is made by steeping vanilla beans in alcohol, is the most widely used of all the extracts and flavors. It’s commonly used to flavor desserts, especially baked goods and ice cream, although a number of chefs have shown it to be an interesting ingredient in savory dishes as well. 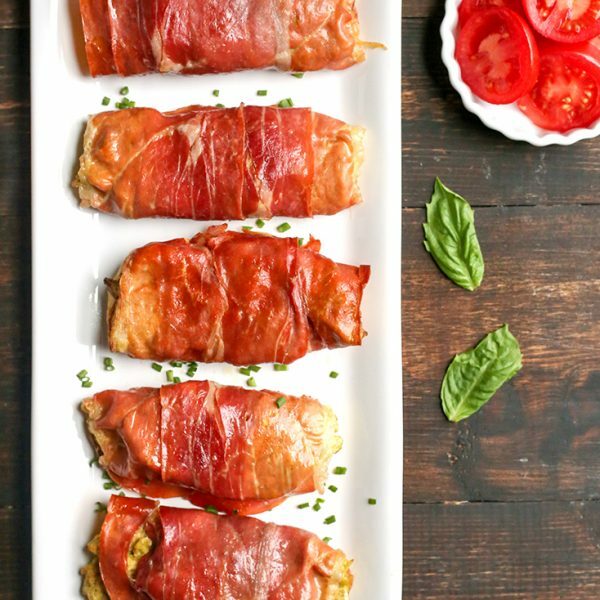 This is the perfect breakfast for Christmas or just a treat to have around if you’re expecting guests for the holidays. It keeps well in the fridge, covered for up to 5 days. 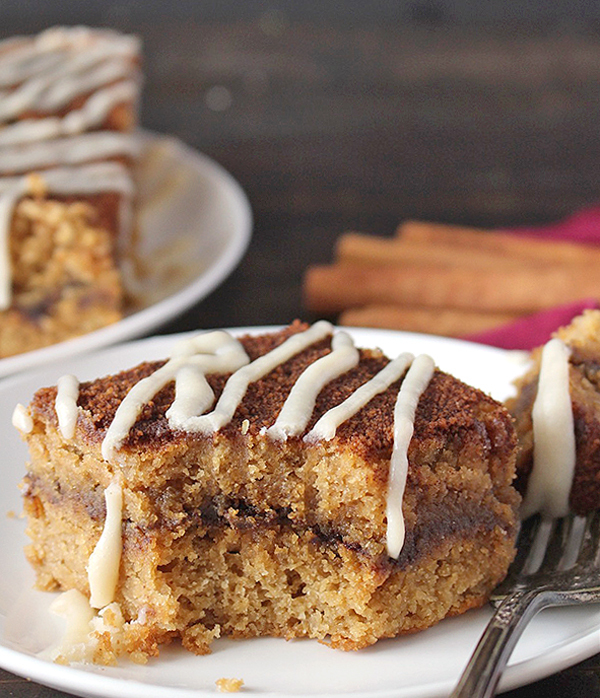 Eating a piece of this tastes just like a cinnamon roll and you will absolutely love it! 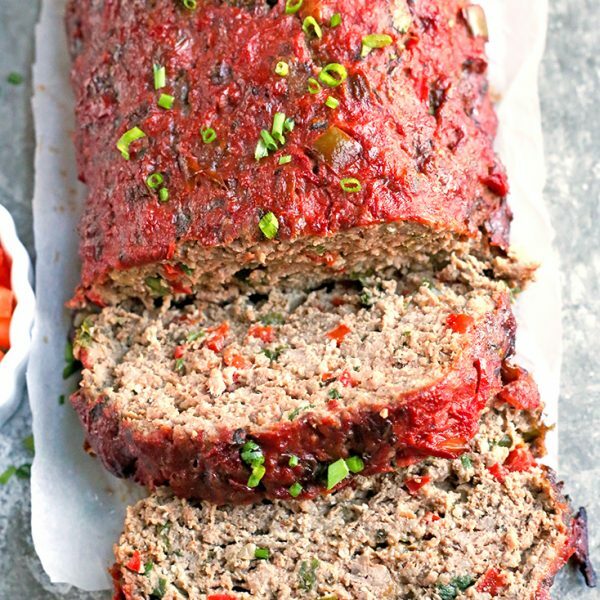 Gluten free, dairy free, and so good! Let me know if you make it and how it came out! Make the cinnamon sugar mixture: in a small bowl, combine the coconut sugar and cinnamon. Mix well and set aside. Make the coffee cake: preheat the oven to 325° and line a 9x9 square pan with parchment paper. In a medium bowl, combine the almond flour, coconut flour, baking soda, baking powder, and salt. Stir until evenly mixed. In a large bowl, combine the coconut oil and coconut sugar and mix until combined. Add the eggs, vanilla, and almond milk and stir until smooth. Add the dry ingredients to the wet ingredients and stir well, making sure no dry spots remain. Pour half of the batter into the prepared pan and sprinkle two thirds of the cinnamon sugar mixture on top. Carefully scoop the remaining batter on top, making sure all the cinnamon sugar is covered. As soon as it comes out of the oven, take the 1 tablespoon of coconut oil and spread it on top then sprinkle with the remaining cinnamon sugar mixture. While the cake is cooling, make the glaze: in a small bowl, combine the coconut butter, honey, vanilla extract, and almond milk. Mix until smooth and thin enough to drizzle on the cake. Once the cake has cooled, top with glaze. You can top it while it's warm, but it won't be pretty lines. 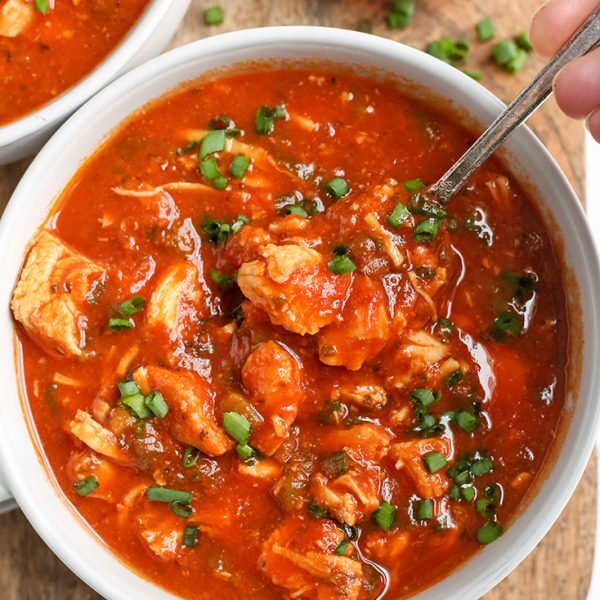 Jessica – Thanks so much for this terrific recipe! I made this last night, while our city was snowed in. My little girl and I gobbled up our generous portions. We used powdered Swerve instead of maple sugar, which worked fine. I had to chill the glaze (again, using powdered Swerve instead of honey) for about an hour, and that worked out well. You’re welcome, Catherine! Thanks for trying it and I’m so glad you like it! Hey there! I made this a couple days ago and it was so good, and I actually intend on making it again today for a guest coming over! But I wanted to inquire, how thick is the batter supposed to be? Mine was much more like dough, it was so incredibly thick that I had to use my hands to mix dry and wet ingredients, and adding the top layer of batter over the cinnamon mixture layer was really difficult. It tasted great but it didn’t look very pretty in the pan due to how thick the batter was. I used all purpose flour instead of almond flour (didn’t have any) but other than that I used everything else correctly. I double checked measurements/quantities and all that. Everything was exact as you said except for the almond flour substitute, but it was still the same amount. Please help! Why is the batter so thick? Hi Liz- thanks for trying it and I’m glad it still tasted okay. The problem is definitely in the flour switch. You can’t sub AP flour for almond flour- they are way different. I suggest using almond flour since I can’t really tell you how to make it with AP. It sounds like you need more liquid. Can Ibuse regular butter instead of coconut butter in the glaze? Hi Sheila- no, that won’t work. Coconut butter is closer to a nut butter than actual butter. There’s not a good substitute, but you can just leave it off if you don’t have coconut butter.